The selfish and lonely journey – filled with pain, joy and new trainers!! Recently I have had a lot of struggles linking to my life back home in Australia – things that have caused me a lot of pain and stress. I really questioned my being here, doing what I am doing, and wondering if the personal sacrifices I have made to be here are really worth the while. In the midst of my mini personal discovery, I had a very wise woman (wise in both life and Muay Thai) remind me that sometimes the path we take in this sport, can be a selfish and lonely one. Despite this, we can turn this “selfish and lonely” journey into one of fulfilment and joy. This is the path I have chosen. Since my relationship at home has ended (in amongst an array of other events), I have decided to extended my stay – for how long – I don’t know. This is where I need to be right now. I am homesick as hell – but this is what I have chosen. It’s been difficult not being able to see my family- my niece is growing up and I am not there to see it and I haven’t really seen or spoken to my sister or brother in law except via email. Friends are having babies, family members getting married and people at home are choosing their own new and exciting paths. I am eternally grateful for the understanding and support of these wonderful individuals – the people who are my family. 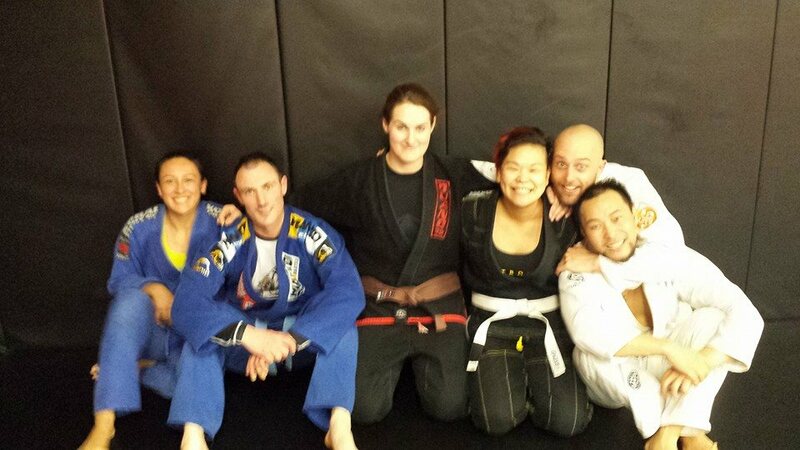 I find too, oddly enough, that when I get homesick – I miss Jiu Jitsu – it was like a second comfort to me. I mean, who doesn’t like rolling around in their PJ’s hugging (and choking) people though!!! Life here is strange and interesting – never a dull moment on the island. Time is so condensed so you can get to know someone relatively well in a matter of days. At the same time, people come and go. Those that come here for a month, are gone before you know it and a new cycle of people come around. The last few weeks have reminded me that change can always be a positive step forward – those who know me well know how resistant I was to change a few years ago! 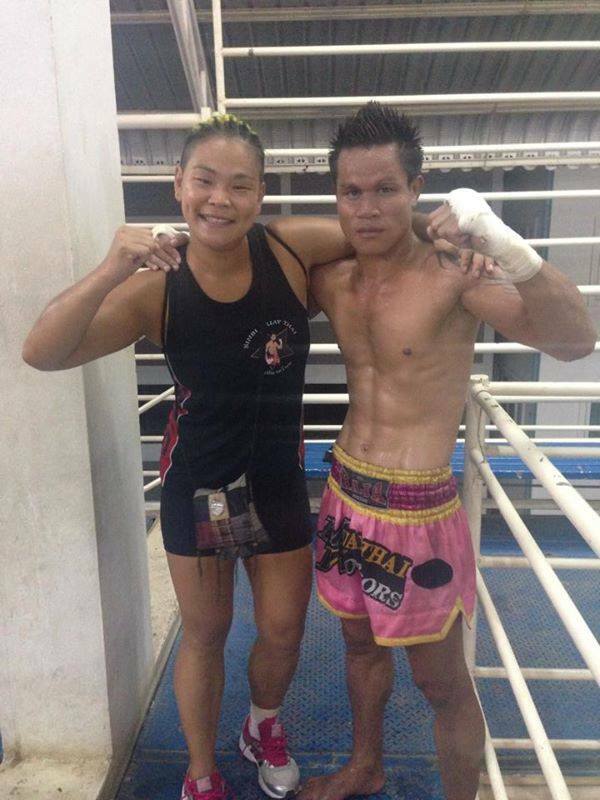 Nai is currently an active fighter in Phuket, so he understands the need to take care of myself when I am injured and works me hard, around my injuries. Nai is also a pretty unorthodox fighter, which makes his style impressive and exciting to watch (fight video below!) and he is sharing his tips and secrets with me. This month is the month for change – for better or for worse. I’m so grateful that Nai is so eager to teach me – he thanks me every day for choosing to train with him. Unfortunately due to having 3 fights last month, I need to wait a few more weeks before I can get another fight. Bangla Stadium usually only shows 1 female fight per card and I know the other girls at Sinbi have been waiting for fights themselves. In the mean time – more sneaky trips, sweeps, fakes, and random unorthodox skills are being added to my arsenal. Despite letting my emotions run ramped today, I am excited for my next fight – excited to use my new skills! It’s not the first time I’ve used Muay Thai to heal myself – I am sure it won’t be my last. Big love to my AMMA family at home – miss you guys like crazy and I’m proud of what you’re all achieving. Sad to hear that you have been facing some adversity but also inspiring to see you push through it & care enough about yourself to stick with your dreams. It takes a lot of strength to come out on your own to follow your passions. In the long run you will be able to look back & know that success or failure, you had the spirit to try. Something most people will never even do. It’s been nice to see you, even if only in bits and pieces – sorry I haven’t seen more of you! Thanks for the kind words. Being hyper critical of myself has always been one of those little obstacles – I am just trying to be grateful, everyday, for this amazing journey I am taking. 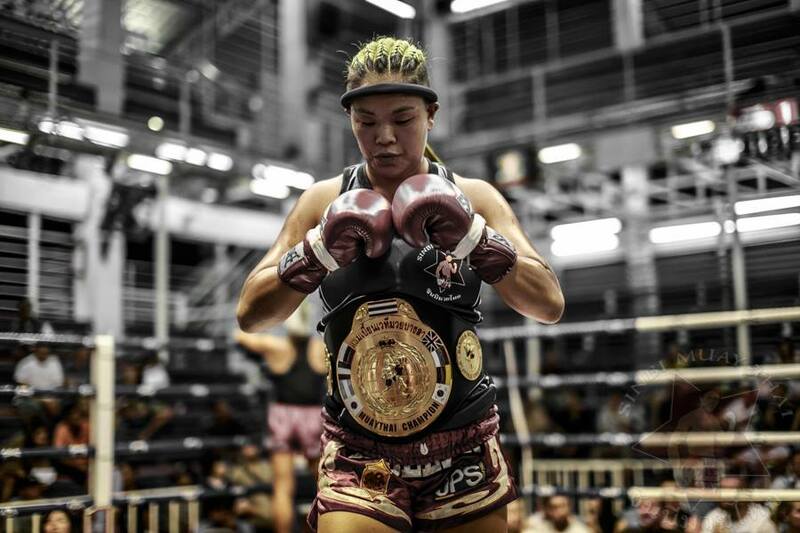 I am a professional Muay Thai fighter living in Thailand. I wrote this post about my personal struggles of leaving my life back home in Australia and I was hoping it would reach a broader audience. I am pleased to hear you found it helpful! ← Fight 7 – the rematch!